Why not start out with one of my favorite books ever? I love everything about this book, the characters, the story, the world, the themes, the messages. Every time I reread it or even just look at the cover, it feels like returning home. Let me be dramatic in peace please. And I’m not really represented by anything in this book? You’ll see that the a lot of the books that I mention in this post are books that represent me, and I mean, there are bi characters, but that’s it. Yet for some reason, I adore this book with my heart and soul. There was no part of him that was not broken, that had not healed wrong, and there was no part of him that was not stronger for having been broken. Fun fact, I just teared up typing that quote!!! I can’t wait to reread this book next month!!!!! Of course, I had to mention my favorite book of the year, that I mention literally every chance I get! Because I love it so much and not nearly enough people have read it! Seriously, though, I adore this book. And though it does represent me (bi MC and genderqueer love interest, the genderqueer rep being the best I’ve read), I think this book means more to me beyond that? It’s about girls coming together and supporting each other and becoming stronger with each other because they have to, and that is just so beautiful and inspiring and meaningful to me. Even girls made of stars aren’t asked, aren’t believed, aren’t considered worth the effort unless they can offer something in return. I know I’ve talked about this book a lot, but let me live!! 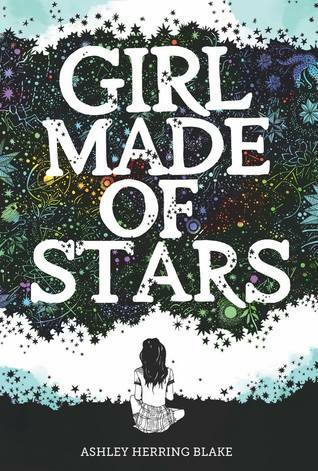 It truly means a lot to me as an Asian person, because this book is about a biracial Japanese and white girl named Kiko who struggles with seeing herself as “beautiful” because of her being Asian. And I know beauty is something kinda superficial, but it matters so much in societal culture? And I’ve always struggled with viewing myself as beautiful because I’m Asian too, and seeing Kiko overcome those negative views and start seeing herself differently means everything to me. I draw a girl with arms that reach up to the clouds, but all the clouds avoid her because she’s made of night and not day. Hello, NEW YORK TIMES BESTSELLING BOOK about two sapphic Asian girls in a relationship fighting against oppression in an Asian-inspired world written by a queer woman of color that means the world to me!!! That sentence pretty much sums up why I love this book. It represents a part of my identity I don’t often get to see in books, and watching two girls like me fall in love with each other and overcome oppression was so inspiring and empowering to me. This book is honestly just… so powerful. It features a queer woman of color (specifically a bi Cuban woman), and the way this book tackles identity, specifically queer women of color’s identities, is just amazing. The whole book is about Evelyn Hugo recounting her life and how not only Hollywood but also she herself erased her identity as a bi Cuban woman. Seeing her reclaim her identity is just so incredibly inspiring. As a bi person myself, it was amazing to see her take back that part of her. But this book means a lot to me because it’s the book that started my sexuality questioning journey. It literally made me ask my friends “wait… how do you know you’re straight”, and when I realized that I didn’t just know that I was straight like they did, I started the year-long process of questioning! 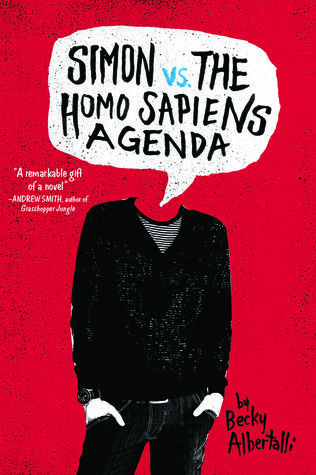 Also, when I reread this book in March this year to prepare for the movie adaptation release, I teared up because of how much I actually related to Simon now that I didn’t identify as straight. This book is just a place of happiness for me and I’ll always adore it! This series is… my childhood. I love it with my entire heart and soul. I reread the whole series earlier this year and I literally teared up over it because I missed the characters and the story so much????? I don’t know. This series, like Six of Crows, just feels like home and comfort. 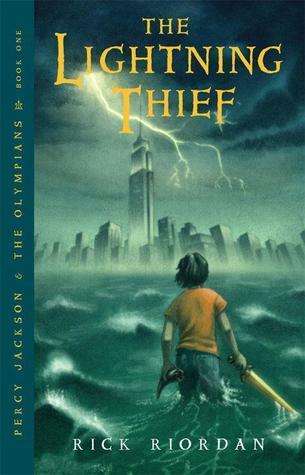 It’s the first book series I got obsessed over and eventually led me to find YA and I think it’s just a series that will always bring back so much nostalgia? This series just fills my heart with joy and reminds me why I fell in love with reading. Fun fact: I also teared up writing that quote!! Why am I like this!!!! what books mean a lot to you or represent you? what fun traditions you do on your birthday?? see any favorites on my list? I hope you’re having a great day!! Previous Ranting About and Boosting All of My Favorite Book Bloggers: Part 1! Next NaNoWriMo Update: I Got Horribly Behind (as in, 15K Words Behind) But I’m Catching Up and Having Fun!! Kind of!! Happy birthday again, love! ❤️ SoC and the PJ series mean a lot to me as well! The latter because it was also one of the first YA series I got into, and it sparked my love of reading! Hope you have a wonderful day!! Happy birthday!!!! And I know what you mean – Six of Crows and Percy Jackson do feel like home. 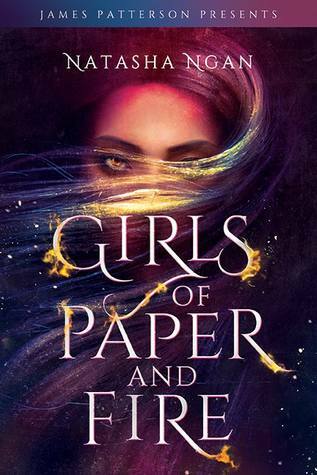 And Girls of Paper and Fire…I’m still not over that book. I don’t think I will be for a little bit. I’m Asian as well so reading about two Asian girls loving each other and fighting to end oppression was so amazing and fulfilling in ways I can’t articulate. And it’s YOUR BIRTHDAY. Be as sappy as you want! Happy birthday again!! ❤❤ By the way, you have great taste in books. I love your reviews. I only speak the truth. 😁 Have a good day May! Ah thank you, and yes haha I really need to read it for sure! And I think I just haven’t looked hard enough haha but definitely need to. Happy birthday lovely! I so want to read GoPaF (woah that’s a good acronym 😂) – I’m happy to hear it meant so much to you. Simon vs has done the same for me… I’m still questioning and in a state of big confusion! AND WHAT THATS SO COOL ABOUT YOUR BIRTHDAY’S. 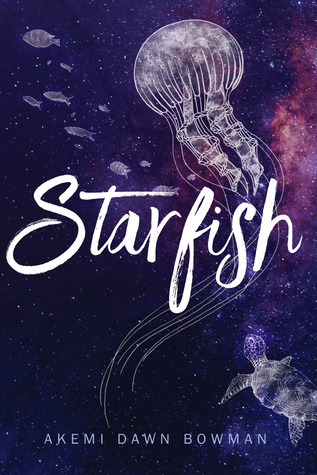 Starfish would also love to be read by this little book dragon in the corner (hint hint… me) and same with Girl of Stars. 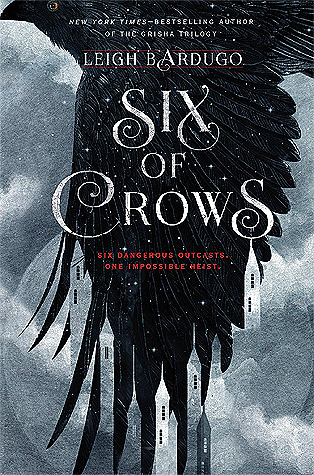 These are some brilliant books as well, Six of Crows is an all-time favourite of mine and even though I'm not technically represented in any of the characters either I get what you mean because I'd put it on my list if I did a post like this. 🙂 Simon Vs is also incredible, I'd actually say it's one of my favourite YA contemporary stories. aahhh THANK U ILU MORE !!!! GIRLS OF PAPER AND FIRE AND STARFISH AND SIMON ANDANDAND. Okay, now I feel like I need to read The Seven Husbands ASAP although I’m trying not to read books I bought this year? 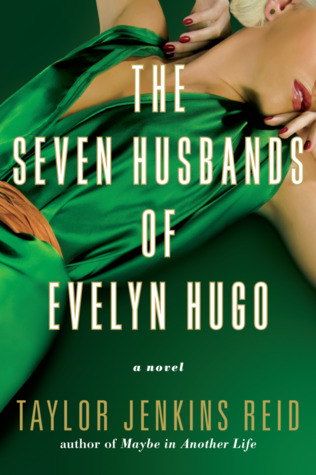 Oh my god, yesss you totally need to read The Seven Husbands of Evelyn Hugo! I feel like it’s a book that EVERYONE loves. I will eventually – I swear! If only because people who know my.. struggle with historical fiction still thoroughly believe I’ll love the book so I HAVE to give it a shot, haha. Oh my gosh! Happy birthday!! I hope it was as amazing as you are! Thank you so much, Tucker!! Happy belated birthday!! I hope it was a great one. Wishing you many more years of joy and happiness. HAPPY BIRTHDAY!!!! this is a late comment and i already wished you one but it’s always your birthday in my heart.